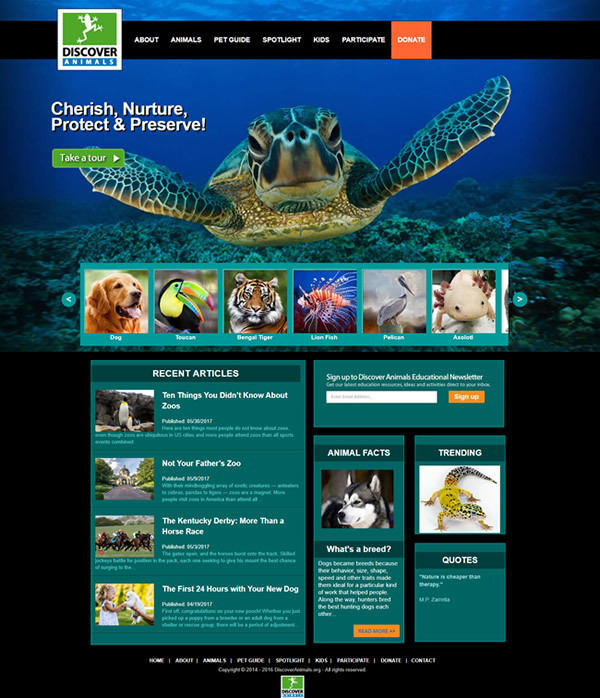 Discover Animals is a resource for entertaining, useful and reliable information about animals. Discover Animals is written for and by people who share a very special love of animals - people who live and work with animals. They are academic as well as hands-on-experts in animal-related fields as diverse as veterinary medicine, animal training, husbandry, animals in education, agriculture, entertainment, sports and science.